One of the perks of having this blog is that sometimes I get to see places that I’d otherwise have no good excuse to request access to. 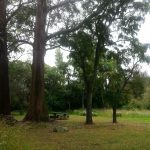 I’ve found private property owners to be surprisingly generous, not only with access but with time and knowledge as well. So when a unique historic building in Lawrence came up for sale, I thought I’d try my luck. The vendors agreed to have me look around and do a story, and that’s how I ended up heading south one sunny Sunday afternoon. I’ve always liked Lawrence, although I mostly see it only briefly as I pass through, every time telling myself that I really must come back for a proper visit. 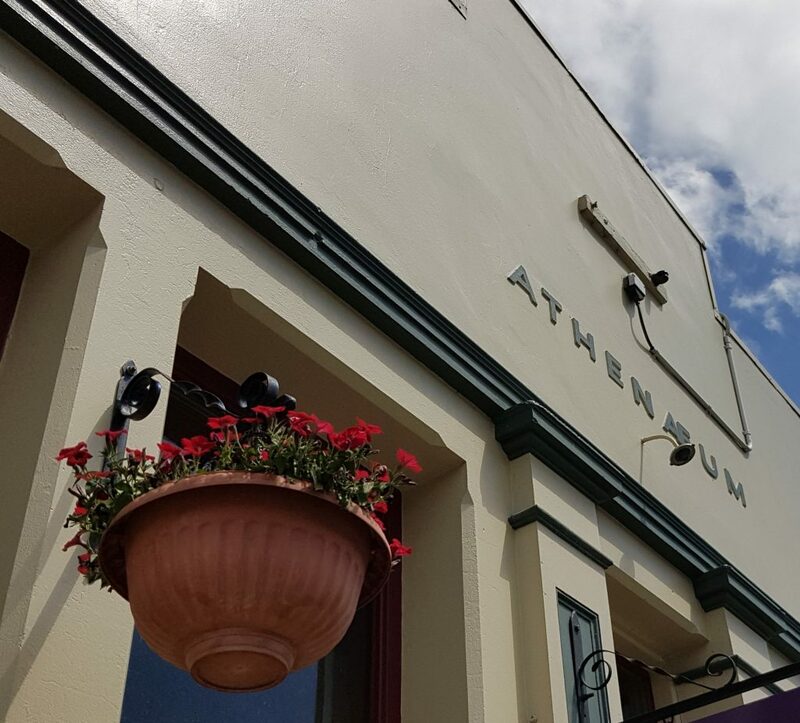 There’s something about the hanging flower baskets and rustic shop fronts of the main street that makes me feel the residents must take great pride in their little town at the gateway of Central Otago. I made my way to Colonsay Street, where Sarah the agent was waiting to meet me. 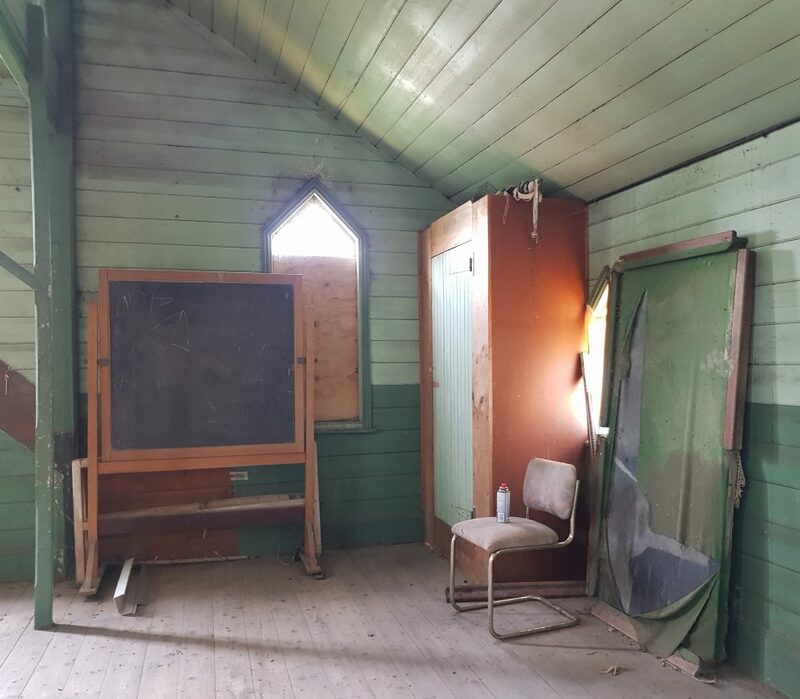 The building in question was St Patrick’s Church School and Hall, an imposing wooden edifice which has had an impressive history in spite of its current dormancy. 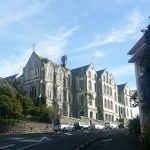 I’ve mentioned before how the Otago gold rush brought all sorts of new immigrants to our shores, among them many Irish Catholics, prompting the creation of a new diocese for Otago and Southland in 1869 – and how that changed the face of Dunedin. Lawrence was at the epicentre of that mad rush, so naturally the town also quickly found itself in need of services of the Catholic variety. The first permanent priest was sent to Lawrence in 1868, but it was the second priest – Father William Larkin – who commissioned this building after his arrival in 1871. The Catholics considered it gravely important for their children to attend a school aligned with their faith, and while there is some evidence a school had been carried on for a year or two prior to this, nobody now knows where it was situated. 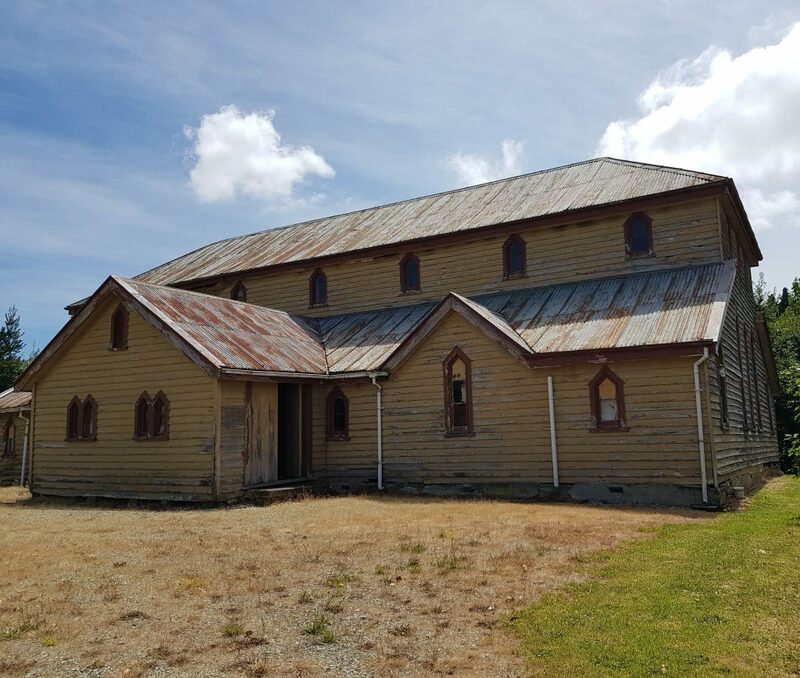 The man who designed this building is one we have met before, and one whose name adds extra weight to its place on the New Zealand Historic Places register. We know Robert Arthur Lawson from Seacliff and Ye Olde Kirk in Maryhill, and he is most famed for designing First Church, Otago Boys’ High School and Larnach Castle. Yes, Lawson was prolific, but this hall is unique among his works. 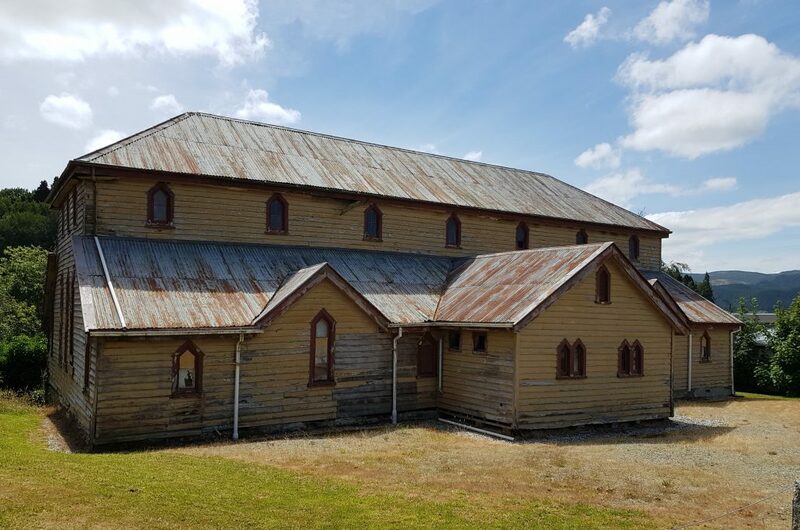 It is both his only surviving building for the Catholic Church and one of only three surviving buildings by him in timber. We stepped in through the entrance, which replaces the original 10 metre high clock tower with bell turret. But much like the tower in another wooden church building we’ve seen, it became rickety and unsafe and was torn down in 1935. The bell was moved to the new Catholic School when it was built in 1927. The opening of the hall took place during a spectacular St Patrick’s celebration in 1872. Attendees came from as far afield as Dunedin to attend the mass, sport games, races and finally the feast which was to take place in this very hall, for which 635kg of turkey, geese, fowl, beef and mutton had been prepared. We stepped into the interior hall, which had been kept open to provide flexibility for the fact that it initially served not only as school, but church and hall as well. 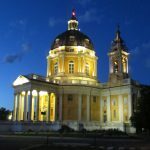 It was never subdivided once the new church was built as originally intended, and now probably never will be – in order to preserve its historic integrity. My astute companion quickly noticed that the central floor had been replaced while the outer edges were still the original rough knotty timber. Turned out this smoother flooring was installed in the 1920s to facilitate dance parties. Ex-pupils could remember kneeling on the rough original floor to recite their Rosary. 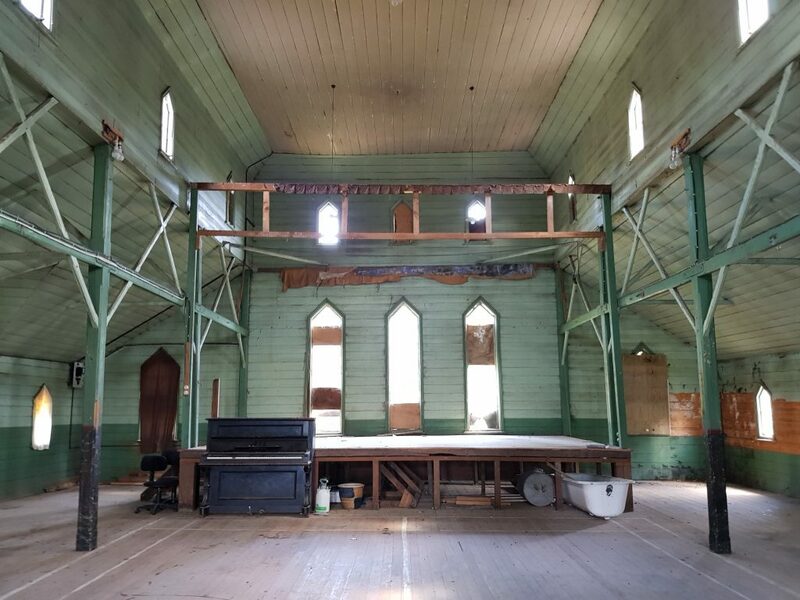 It ceased to be used as a church when the one across the street was opened in 1892 and after 1927 schooling moved to a new site. But this multi-talented building has served many other uses over the years. With its high roof it was considered perfect for badminton and the painted lines are still visible. There were also concerts, card nights, welcomes and farewells, weddings, and gymnastic lessons. There is also another claim to fame here – John Joseph Woods, the composer of our national anthem music – was headmaster here when he wrote the tune in 1876. His talents as choirmaster reputedly assisted him in creating a melody that was simple and easy to learn. The terraces are to be planted in fruit trees while the vines planted last year, are growing well. The girls’ recreation ground is surrounded by a fence of sweet briar. In 1994 the building passed from church hands and on to the pair who had so generously granted me access today, a New York based professional couple who have made valiant efforts to preserve it including drainage and foundation work and obtaining a grant for roofing. 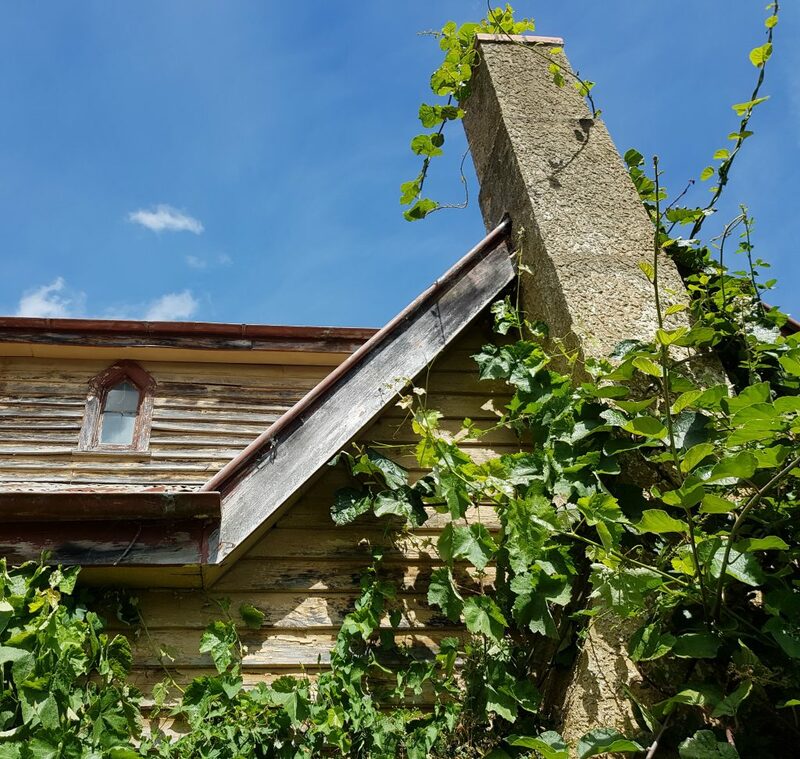 Unfortunately the roofing work fell through due to a variety of unfortunate circumstances and the couple ultimately decided to sell in the hopes that placing the building in new hands would spur conservation efforts. As for what future life the hall will see, only time can tell. Thanks again for an informative and interesting look into our history. I do hope this important part of our past will be saved by a sympathetic owner. It seems a shame that the money granted by the Historic Places Trust was unable to be uplifted and used at the time. Perhaps an indication of how difficult it is to be owners who reside ‘off shore’ ? I noticed this building was up for sale. Thanks for doing the article.. really interesting!